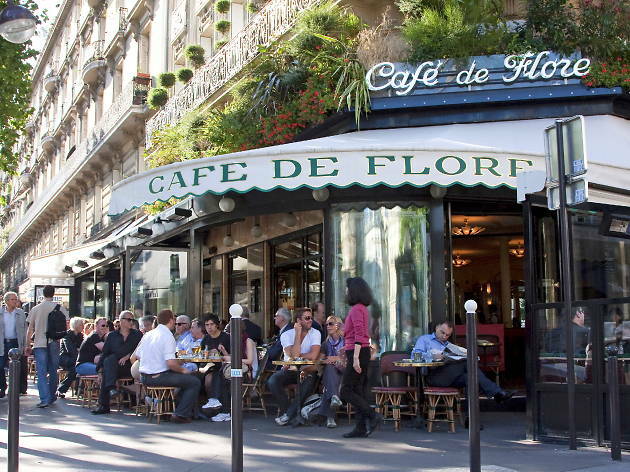 Bourgeois locals crowd the terrace tables at lunch, eating club sandwiches with knives and forks as anxious waiters frown at couples with pushchairs or single diners occupying tables for four. This historic café, former HQ of the Lost Generation intelligentsia, attracts tourists and, yes, celebrities from time to time. But a café crème is €4.60, and the omelettes and croque-monsieurs are best eschewed in favour of the better dishes on the menu (€15-€25). There are play readings on Mondays and philosophy debates on the first Wednesday of the month, at 8pm, in English. 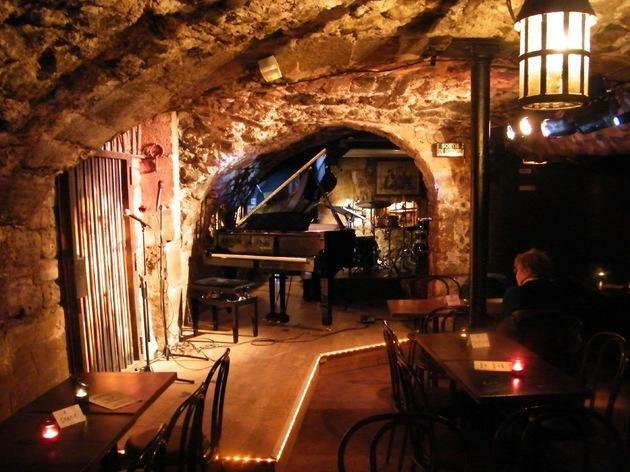 There are few cafés as deeply anchored in musical and literary history as Café Laurent. 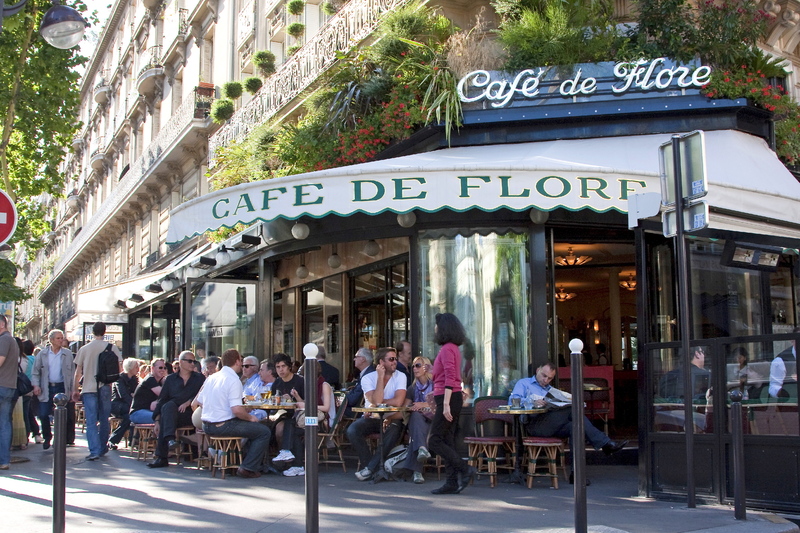 Opened by François Laurent in 1690, several generations of influential people have rested their elbows on the counter. Fontenelle, Voltaire and Rousseau all came here to discover 'l’eau de café' or Indian tea. The place is also remarkable for its clientele of distinguished intellectuals from the 20th century, including the musicians and philosophers of the Nouvelle Vague. In the post-WW1 years, where jazz was the order of the day and the avant-gardistes were unleashing existentialism, Café Laurent was rebaptised le Café Tabou and counted amongst its regulars Sartre, Queneau, Camus and Mauriac who used it as their headquarters. These days, the place is frequented by the chic clientele of the quartier. 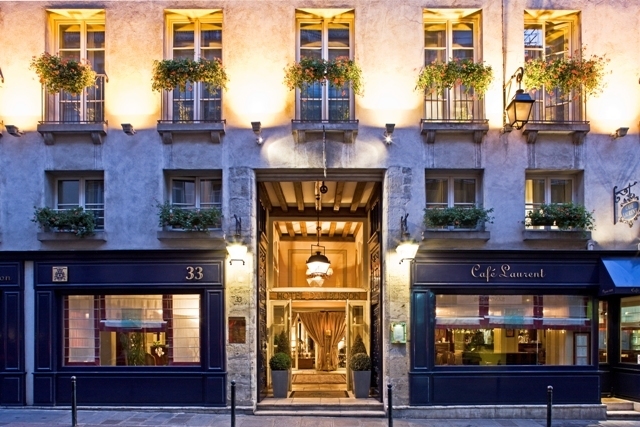 Hidden on the ground floor of the luxury hotel l’Aubusson, the café also puts on jazz concerts on Wednesday and Saturday.With upholstered seats, sumptuous curtain and a grand piano, the menu – and the prices – match the elegance of the décor. Come here to enjoy the most sophisiticated, historic side of Saint-Germain, but only if you're willing to pay for it. 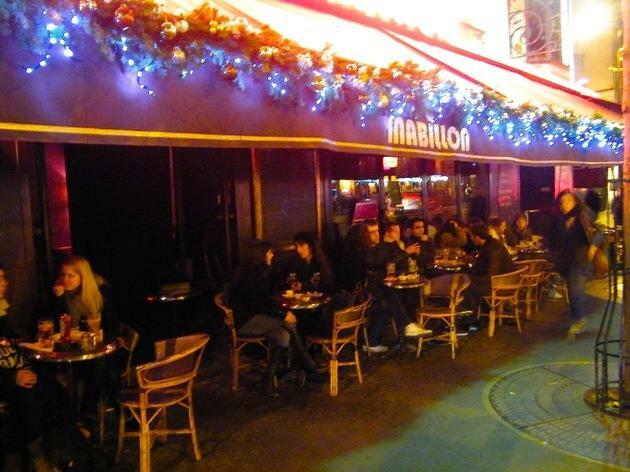 Open 22 hours out of every 24, Café Mabillon is a lounge bar in the heart of Saint-Germain that's generally populated by well-heeled locals. In the daytime, the large terrace attracts passers-by in search of a rest stop in the sun. A glass of Chablis in hand, sunglasses in place whatever the weather, one is here to see and be seen. When happy hour commences, the golden youth take over the leather banquettes to sip cocktails. For those wanting a light snack, you can get a croque-monsieur or a salade de chèvre chaud or cheeseburger at any time, even if for rather overinflated prices. It is one of the few places still open at 4am in the morning so it’s an excellent refuge for a place to fill up after a big night out. 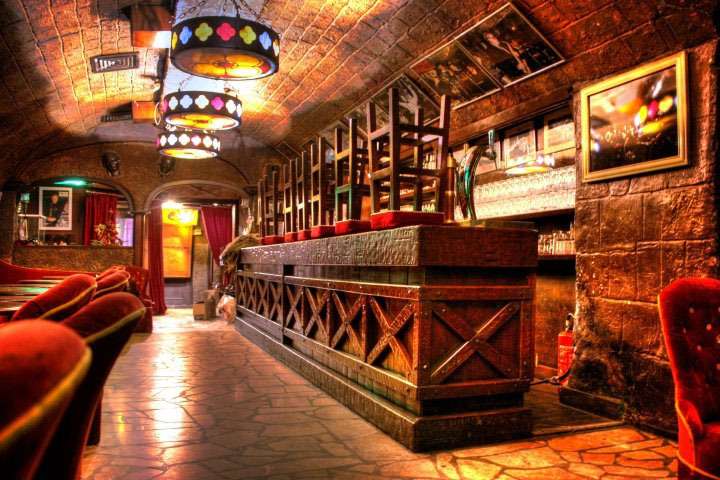 This medieval cellar has been a mainstay for over 60 years. Jazz shows are followed by early-hours performances in a swing, rock, soul or disco vein. Walking down rue Jacob is like stepping back in time. 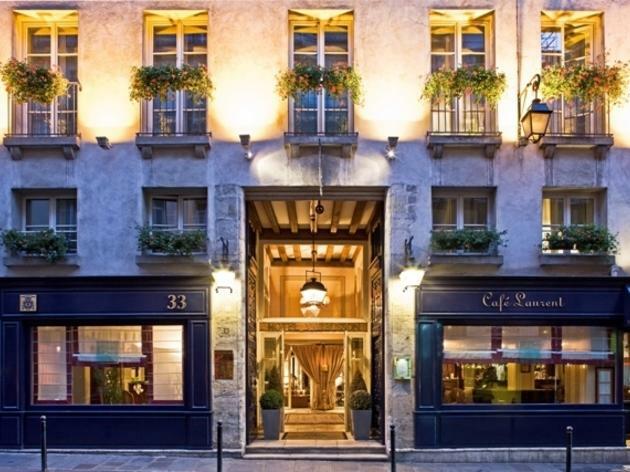 Filled with discreet luxury hotels and charming old-fashioned bookshops, this little historic street is also home to Caveau des Légendes. This hideaway draws impressive names like René Urtreger and Peter King, representing jazz from the 1950s to the present day. When a suit of knight’s armour greets you at the door, you’re already swept up in a thing of legend and fantasy. 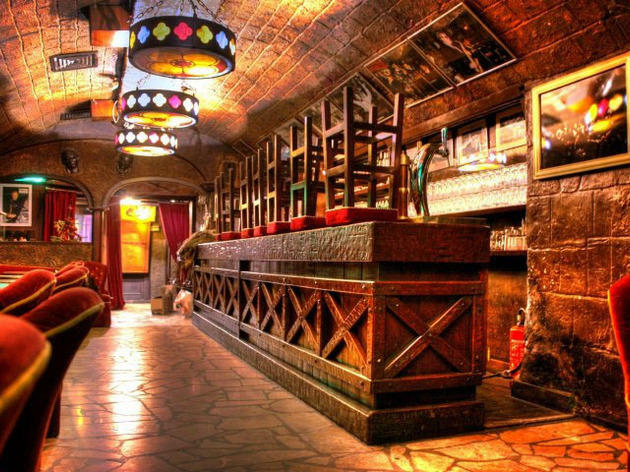 At the bottom of the stairs, through a heavy oak door, lies a medieval tavern lit by iron lanterns hung from a vaulted ceiling and candelabras on the stone walls. You’d think you were in a medieval castle. It all sets the perfect mood for their clairvoyant nights on Wednesdays, when a glimpse of your future will give you a shiver as your Tarot cards are dealt. Musicians take over the baby grand piano tucked into an alcove for musical and cabaret nights, and the space lends itself equally well to plays. Check out their calendar of events to learn more. A foot-tapping frenzy echoes in this medieval dungeon, complete with instruments of torture, a guillotine and underground passages. 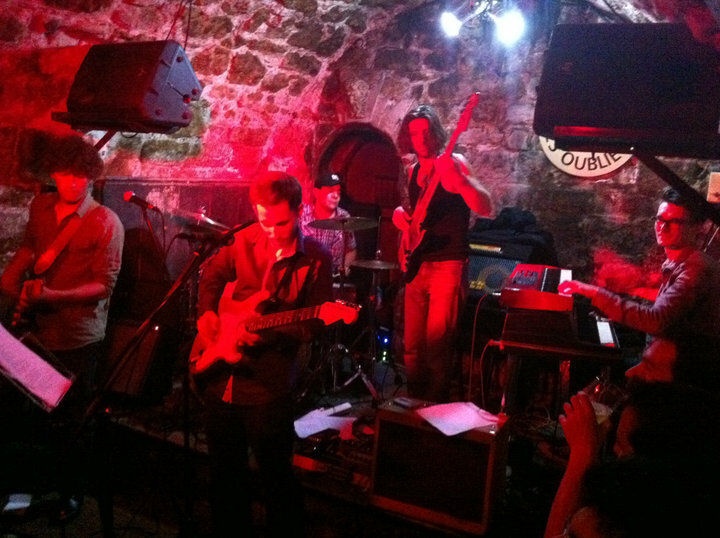 Mondays are Pop Rock Jam nights with the JB Manis Trio, Tuesdays are Jazz Jam Boogaloo nights with Jeff Hoffman, and there are various other jam sessions during the rest of the week. 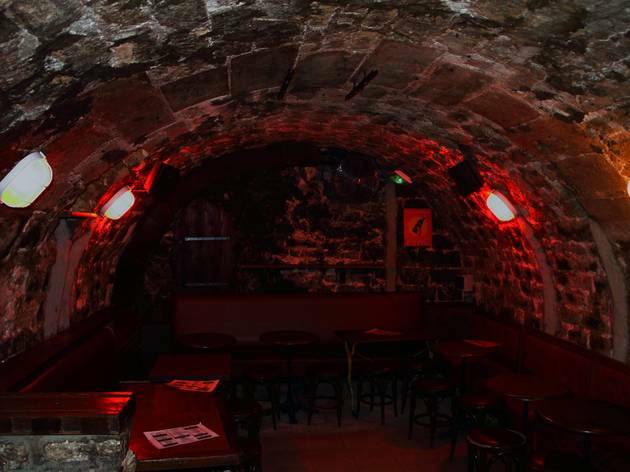 A good bet near Ile de la Cité and Saint-Germain, the Cavern Club is an easygoing venue without pretensions: in an area where the rents are the most expensive in Paris, €8 cocktails can be had for €3.50 during happy hour – though made with ‘value’ alcohol, they’re mixed with taste and a generous hand, like a Berry Cooler (vodka, amaretto, cranberry juice), the June Bug (white rum, melon liqueur, banana, pineapple juice, lime) or the Chimayo (tequila, crème de cassis, apple juice), plus good renditions of jazz standards like mojitos and piña coladas. If you want to stick with premium booze, those cocktails aren’t counted in the happy hour. 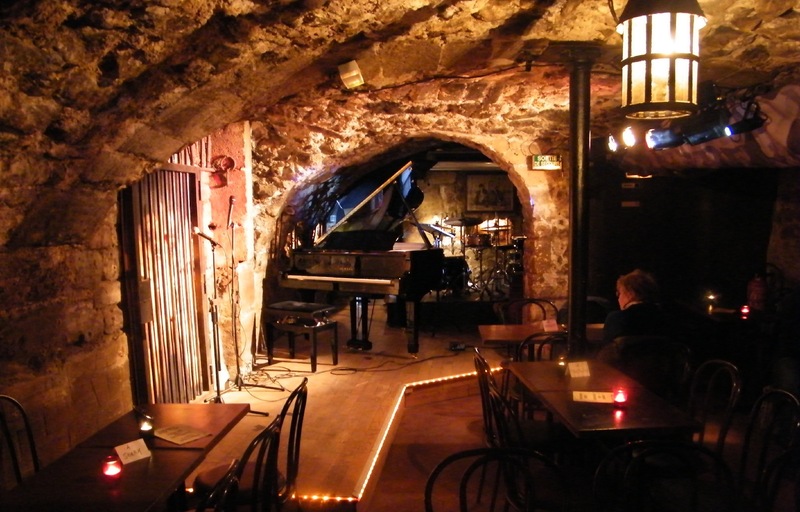 There’s a beautiful big old bar in the entrance, exposed beams and trendy patterned wallpaper – what’s more, at the back of the bar and down a staircase is the cavern that gives the place its name: a huge vaulted basement with a second bar and stage where they put on pop, rock, folk and chanson française of an evening, as well as electro house DJs and, every Wednesday at 8.30pm, improv theatre skits from La Muse Hante group. The final sell: it closes at dawn, so is one to choose for evenings you don’t want to end, especially in this area that tends to be dead after dark. The full events programme is available here. 'J’aime les filles, de chez Castel...' sang Jacques Dutronc at a time when Jean Castel and Régine were the kings of Parisian nightlife back in the 1960s. Since the days of the Beat generation, this mythical club has seen the cream of the crop of the Parisian cultural scene, who have come to slum it here in this labyrinthine bar set over three floors of free-flowing champagne. 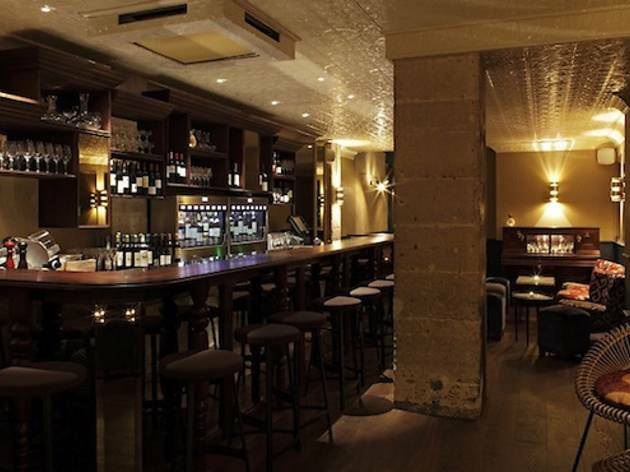 Françoise Hardy, Françoise Sagan, Jean-Pierre Cassel and Mick Jagger have all graced the bar, as well as Frédéric Beigbeder, Edouard Baer and ​​Hermine de Clermont-Tonnerre. At the end of 2010, almost ten years after the death of owner Jean Castel, the club-restaurant underwent a major facelift: no more faded red velvet and gilded cherubs above art-deco leather banquettes; the red frontage was repainted black, the dancefloor in the basement was enlarged and the restaurant has a new chef. 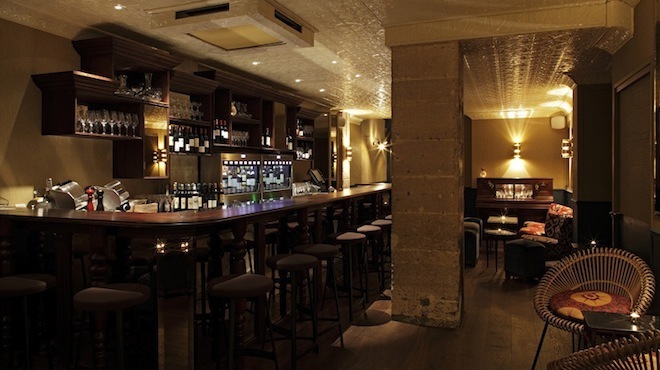 This is one of Time Out's 100 best bars in Paris. Click here to see the full list. Don’t expect to get out of here without splashes of wine on your shirt. 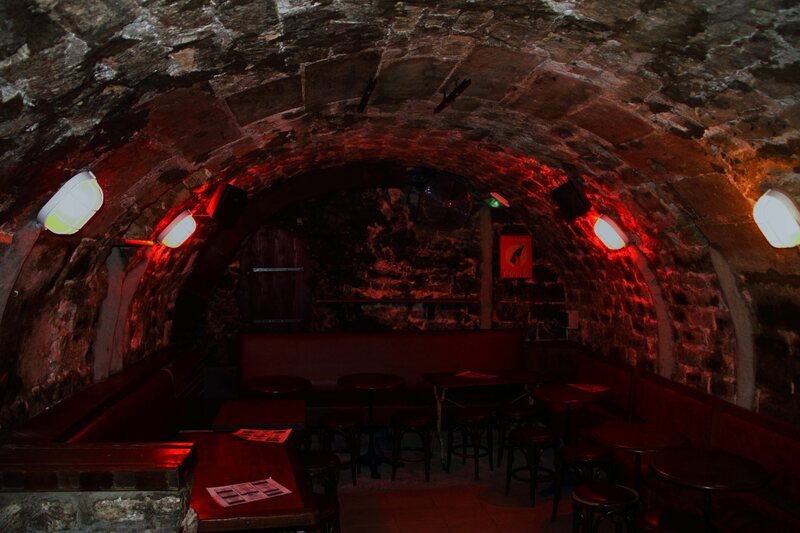 Hidden in the heart of the snooty neighbourhood of Saint-Germain-des-Prés, evenings in this vaulted stone wine cellar mix hip students with the hoi polloi in a glorious jumble. Everyone dances up close, getting up on the tables when there’s no room on the floor, and they drink, they clink glasses, and they sing at the top of their voices.Chez Georges has been an institution since 1952. Few wine cellars like this are left today – Georges keeps the charm of old with nicotine-stained photos of forgotten celebrities and a promotional Raphaël Quinquina clock, as outmoded as the spirit it advertises, which was in fashion some time in the last century. In the torpor of the afternoon, its ‘tick-tock’ punctuates the silence of the regulars’ chess games. When evening comes, don’t be discouraged by the crowds – sometimes you just have to wait a little to get down into the cellar. 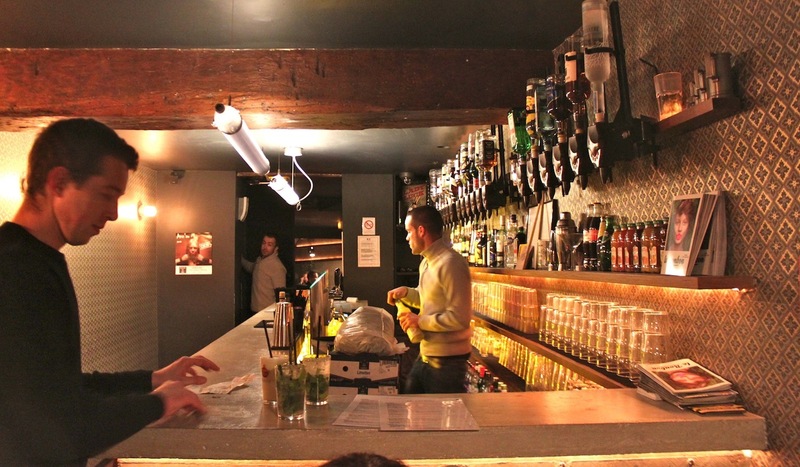 Forget cheap plonk – both drinks and food here are nothing but the best. Behind the big bar of this dimly-lit dive, staff from the Experimental Cocktail Club, the Curio Parlor and Prescription have abandoned their mixers for straightforward bottles of red, white and pink. 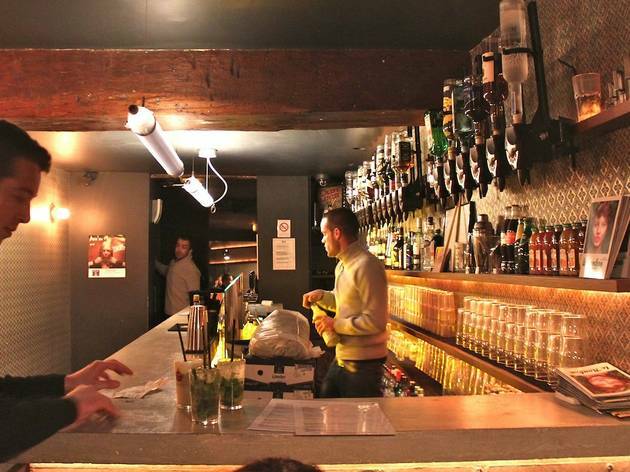 The result is a lovely, intimate wine bar, dotted with sofas and cosy corners. The wine list has more than 3,000 bottles listed, and to go with the booze, there are some first class things like burrata, prosciutto al tartufo, truffles and fine cheeses. The service is friendly if occasionally overstretched, but always ready to guide you through the menu. The clientele is varied, but always well turned out.It’s not necessarily the place for a big night out, but perfect for a civilised evening; just beware of running up quite a bill. The menu performs leaps and bounds from €6 to €80 a glass, and from €20 to €4,000 a bottle. But even if you don’t have four months’ rent to spare, the lower end of the selection is worth looking in to. 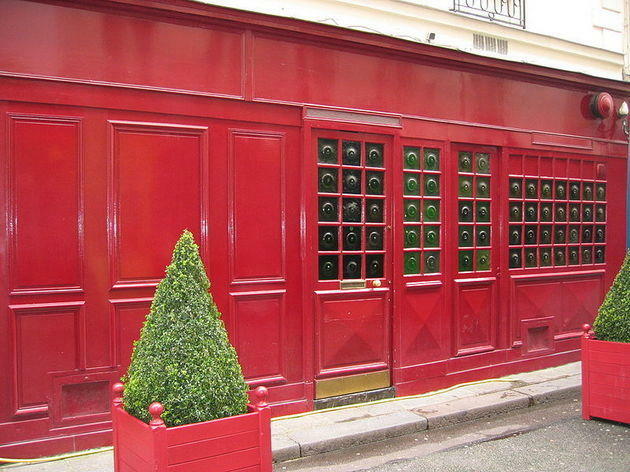 This restaurant serves one of Time Out's 50 best dishes in Paris. Click here to see the full list.